I write to alert you to ongoing national security risks created by officials within the State of California due to more than three decades of serial criminal stalking of my person with the complicity of local, state and federal authorities. That stalking remains ongoing as evidenced by my March 13 receipt of a Franchise Tax Board (FTB) assessment for the 1996 tax year. Why that year? Why 21 years later? My birthfather was Nelson Rockefeller. Only a few people knew that fact until I applied to the L.A. Superior Court to take the family surname in April 1993, per the enclosed draft timeline. The serial criminal stalking began in 1956 when I was age four. That’s when my mother’s marriage was arranged to my stepfather, providing his brother, Robert King Cunningham, access to my home. My Uncle Bobby worked for Donald Stralem whose father co-founded Hallgarten and Company investment bankers in Manhattan in 1850. This Rothschild affiliate originated in Frankfurt. One Chase Plaza now occupies the Hallgarten site. On my return from Iraq, stalking coordinated at the local, state and federal level sought to discredit me, silence me or provoke me to react in an irrational manner. The motive was not fully understood until 9/11 and thereafter when President George W. Bush was induced to invade Iraq reliant on false intelligence, including fixed intelligence alleging Iraqi WMD. Without the 3,000 deaths on 9/11, it’s highly unlikely we would have invaded Iraq. The San Diego office of the F.B.I. played a key role in ensuring the success of 9/11. A San Diego resident, FBI Special Agent Stephen Butler, was complicit in the stalking, per the enclosed materials featuring an overview of Munther Ghazal’s and my experience in California as we sought to stop that war. Four days after 9/11, Agent Butler went to Munther’s home and asked if he was providing me financial support. On that same day, Paul Wolfowitz argued at a principal’s meeting at Camp David that the U.S. should invade Iraq even though Osama bin Laden was thought to be in Afghanistan. No one from the F.B.I. interviewed me, either then or since, about the intelligence with which I returned from Baghdad even though it was then illegal for U.S. citizens to travel to Iraq. That interview would have revealed systemic criminality. 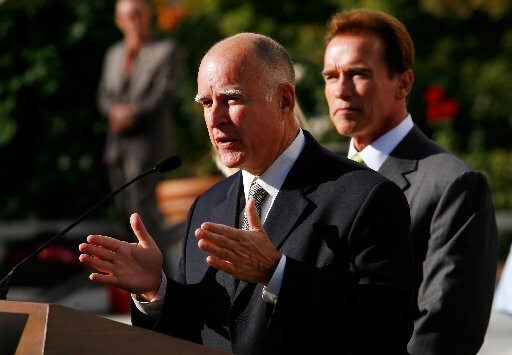 Complicity by California Officials. How do I know this stalking remains ongoing with complicity by officials in California? Because the FTB notice I received on March 13—for the 1996 tax year—repeats a ploy I encountered on my return from Iraq in February 1997 when I received a tax notice—for the 1987 tax year. Well before 9/11, I was being stalked in California. That includes a bank fraud in 1983 involving multiple California parties, a crime for which I was unable to secure assistance from local, state or federal authorities. The FTB’s recent overt act restarts the statute of limitations, allowing me to prove serial in-state stalking dating from the early 1980s. I described this for you in a memo of May 30, 2014 that included a timeline confirming systemic criminality in California that remains ongoing with a direct impact on national security. After my return from Baghdad in February 1997, agents in the Fresno office of the FBI (at the direction of the Minneapolis office) contacted Fresno physician John Burnett in an attempt to discredit me rather than engage me in good faith, including intelligence that could have prevented the war in Iraq. That same Minnesota FBI office is where an agent was prevented from inspecting the computer of “20th hijacker” Zacarias Moussaoui where information would have been found confirming the pre-staging of the war-catalyzing provocation of 9/11 — perpetrated in coordination with San Diego-based terrorists. In September 2000, during a campaign swing through Fresno with Vice-Presidential candidate Joe Lieberman (he and John McCain were key salesmen for the false intelligence that induced us to war in Iraq), Secret Service Agent Brian Korbs came to my home in Fresno in an attempt to discredit me with two members of the Fresno police who accompanied this federal agent. In an August 2004 attempt to discredit me, Fresno Detective Dean Williamson subjected me to an involuntary 72-hour psychiatric hold. Aleksandr Vydro promptly released me when he realized that the Fresno police had falsified what led to me being forced to spend the night locked up in a state facility. Israelis Jason Barzilay and Daniel Platzker sought to discredit me with an April 1996 Minneapolis Star article stating I was unrelated to the family. Dr. Sibert confirmed my genealogy with Dr. Glenn Olds, an adviser to my father, 1945-1979, and my senior adviser from 1994 until Glenn’s death in 2006. Seeking to separate Dr. Sibert from me and from the business model that Dr. Olds and I designed for China, A.I.G. offered to cover the risk to principal on a “fund of funds” that would enable California-based Global Financial Group to raise $1.4 billion to launch technology companies. When this separation succeeded, the promised A.I.G. coverage was not forthcoming. Dr. Sibert, a two-term mayor of Malibu, declined your offer to serve on the Coastal Commission. Cui bono? Who benefitted from this serial criminal stalking in California? Who had the means, motive and opportunity inside our nation and in California? Who, if not foreign agents operating with the support of a foreign government, could coordinate behavior that has remained stable across decades? It certainly was NOT the Russians. Who incited hatred toward the U.S. with their policies in the Middle East—enabled by federal support for an entangled alliance that undermined our national interests? Who benefited from me not being engaged when my life experience provides facts able to prove the common source of trans-generational criminality, including proof of how it operates in California? Who is responsible for producing a president insistent on boosting defense spending by 10% to combat a radical Islamic extremism that is routinely provoked by these serial agent provocateurs? Who is responsible for Donald Trump putting Jared Kushner, a Chabad Lubavitch devotee, in the position to oversee U.S. foreign and domestic policy and settle the Israel-Palestine conflict? Ongoing Stalking in California. The FTB has also harassed Ron Burd, my counsel since 1992, by ascribing phantom income, assessing a tax lien for unpaid taxes on alleged but unpaid income and publishing a list featuring him as one of the state’s 400 most delinquent taxpayers. That discrediting ruse damaged his reputation and enabled the FTB to repeal his driver’s license, further imperiling his ability to practice law and assist me in bringing litigation seeking damages for which the state is liable. What is the magnitude of the damages? Had my experience been investigated in good faith on my return from Iraq, the lengthy pre-staging for 9/11 may well have been uncovered. For certain, the invasion of Iraq could have been prevented along with the game theory model-able reaction: the emergence of ISIS. As an interim measure, I strongly suggest that you (a) direct the FTB to order a return of Mr. Burd’s driver’s license, and (b) order a suspension of any further action against Mr. Burd and me until resolution of the claims I have against the state. As a priority measure, I also suggest that you meet with Mr. Burd, colleague Jeff Gates and I. As chronicled in the enclosed commentary (“Donald Trump—The Last President for Greater Israel”), the Trump presidency was produced by the same transnational (Jewish/Mormon) criminal syndicate that used my out-of-wedlock birth in 1952 to compromise my father’s prospects for the presidency. As the L.A. Times opined April 2 in a four-part series on Donald Trump: “It is impossible to know where his presidency will lead or how much damage he will do to our nation.” Having failed to engage me functionally beginning in February 1997 on my return from Iraq, the Los Angeles Times (and other media outlets), the F.B.I., and numerous officials in California and Arizona are responsible for the Trump presidency. After we meet, I suggest that we share a dinner at the El Cajon home of Munther Ghazal. He can describe for you his experiences in California as he and I sought to stop the invasion of Iraq reliant on phony intelligence. That stalking includes Mossad operatives who posed as F.B.I. agents in California to silence Munther and intimidate his family. He also experienced the murder of a relative in California in order to persuade him not to attend a meeting in Tucson that I convened five weeks prior to the March 2003 invasion. Due to the non-stop stalking to which I was subjected in California, I left the state in the fall of 2004 and relocated to Arizona in July 2005 where I remain. Had officials in California performed their duties consistent with their oath of office and followed the facts wherever they may have led, countless lives, trillions of dollars and our nation’s credibility could have been saved. Thus the potential scale of damages for which a long-deceived public may well demand a reckoning when these facts become public—as they soon will. The details of this stalking—summarized in the timeline—will become far more granular when I file civil litigation. The preponderance of the evidence proves that this serial stalking in California reflects repetitive behavior patterns that confirm lengthy premeditation and what the law calls an “evil mind.” Despite evidence detailing the common source of this ongoing behavior, I have yet to be engaged in good faith by those with line responsibility for law enforcement or national security. Your engagement can begin the process of restoring our national security by insisting that California officials follow these facts wherever they may lead. We also should discuss how these facts and analyses can be used to protect California from the financial manipulations for which those identified have long been rightly feared. It’s no coincidence that, in the course of profiling those stalking me, I was drawn into networks of operatives pre-staging the S&L fraud, the Enron fraud and the dotcom pump-and-dump fraud. Had Munther Ghazal accepted a Taliban invitation in 2000 to visit Kabul, he would have become the (still missing) “high-level contact” between Saddam and Al Qaeda. Sensing Israeli pre-staging, I persuaded him to decline. Nor is it coincidental that I was drawn into circles that included Clinton-era neocon James Woolsey, a former C.I.A. Director who, post-9/11, promoted the intelligence falsely alleging meetings in Prague between Iraqi intelligence and 9/11 terrorist Mohamed Atta. Portions of this analysis are featured in the enclosed 2008 release, Guilt By Association—How Deception and Self-Deceit Took America to War, where I am identified only as John Doe. It’s also called “the McCain book” with three chapters chronicling the production of this political asset and documenting the reliability of his behavior since his election to the House in 1982 as pre-staging to replace “maverick” Senator Barry Goldwater in 1986. With McCain now chair of Senate Armed Services, the narrative of Russian (vs. Israeli) interference in the 2016 election can rely on a high profile salesman—just as McCain and Connecticut Senator Joe Lieberman were used to sell the phony intelligence that induced us to wage an unwinnable and unnecessary war in Iraq. It’s no coincidence that I was drawn to Arizona in 1973, per the enclosed draft Introduction to The Hidden Tax on Humanity. Though I am a constituent, Arizona Senator Jeff Flake, a Mormon, declined to engage these facts. Trump is perfect for the role he now plays. Unfit for the job and responsible only to the unfulfilled needs of an easily profiled self-absorbed ego, he delegated running his presidency to those who produced it. His history confirms that he’s both a classic asset and a made man with a personal fortune that traces to sectors dominated by those I profiled: casinos, pop culture and commercial real estate in Manhattan. Seeding a Solution. As the common source of this duplicity becomes apparent, NewRock will launch a hybrid business model designed, over time, to displace those I profiled while being stalked my entire life. Much as Hallgarten and Company was created to finance (and profit from) both sides in the Civil War, those chronicled dominate both sides in our two-party system. Policies are more a question of tone than real difference in long-term results. As my life experience proves, those profiled are skilled at shaping the national narrative, including the manipulation of consensus opinions on which democracies depend. Whether left or right, Democrat or Republican, liberal or conservative—dysfunctional “consensus” trends remain unchanged. Thus the NewRock strategy for replacing a flawed consensus mindset embraced by both parties. The NewRock model includes (a) a means for accelerating the transition to renewable energy, (b) a self-financing means for making higher education and vocational training affordable and statewide accessible, (c) a means for expanding the hydrogen highway, and (4) a way to enlist the Hispanic community in support of an economic paradigm that will displace the dysfunctional “Washington consensus” with bottom-up, stakeholder-inclusive accountable capitalism. Step-by-step, today’s solely transactional model can be replaced with a more relational model better able to attune market operations to community values while accelerating the transition to a future featuring holistic sustainability: civil, fiscal, financial and ecological. Attached is a one-page overview. Why does my life experience pose such a threat to those I profiled? Because my firsthand experience proves the common source of trans-generational (Jewish) organized crime—including their ongoing manipulation of the Office of the President. Importantly, those profiled know that, at 12 years old, I walked in on a family argument in 1964 that connected my Rothschild operative step-uncle to those who orchestrated the Kennedy assassination in November 1963. My step-uncle provided pot and girls for the Kennedy brothers at Peter Lawford’s beach house in Malibu. As a kid, I answered the phone at my step-grandmother’s home and took a lengthy message from Lawford, a Kennedy in-law, when he called looking for my Uncle Bobby. The stalking in California was non-stop. When I relocated my family from Tucson to Irvine, the stalking was coordinated by Doug Skeen, a Mormon (aka The Lost Tribe of Israel). Numerous other incidents in California are described in the enclosed book, Guilt By Association, in the accompanying draft timeline, and in draft chapters posted on the Hidden Tax on Humanity website. Jason Barzilay, co-founder of Packard Bell and Argoquest Holdings LLC, also boasted of diverting U.S.-provided foreign assistance to found Packard Bell, a firm then used to steal U.S. technologies—incentivized by legislation he promoted in Tel Aviv allowing active duty Israeli military and intelligence officers to participate in the equity (stock options, etc.) of technology companies that prospered with those stolen technologies. Americans have no idea how much this “special relationship” has cost them—in blood, treasure and foregone futures as those defrauding the U.S. built Israel into a global center for leading-edge technologies based in large part on technologies developed in the U.S. due to our investment in education and knowledge. It’s not that “Jews are smarter.” However those I profiled are more devious. The cost of this hidden tax on humanity is now being tabulated. The financial cost to the U.S. alone of a preventable and unnecessary war in Iraq is on track to top $6 trillion, including $4 trillion in interest paid through 2053. That trans-generational tax is consistent with the multi-century record of those who have long prospered by pitting two-sides-against-the-middle (e.g., The Clash of Civilizations) while prospering off the misery of both. That charge can be proven based on facts and analyses pivoting off my experience—another key reason why officials in California and elsewhere seek to discredit me rather than engage me in good faith. As my life experience can prove, Republican Donald Trump is the most pliable asset to occupy the Oval Office since Democrat Harry Truman whose political career was produced by the Kansas City (Pendergast) component of (Jewish) organized crime. Those profiled manipulated Truman’s Zionist Christian beliefs to induce his recognition as a legitimate state of an enclave of Jewish elites and extremists—over the strenuous objections of his Secretary of State George Marshall, the C.I.A., the diplomatic corps and the Joint Chiefs who foresaw that radical Jewish extremists would draw us into serial conflicts against our true interests. As we now know, the founders of Israel lied to us by promising to take no more land while secretly planning the very outcome they denied—and continue to pursue 69 years later. By embracing this special relationship, our elected officials granted Israel the license to deceive us while undermining our interests worldwide. Trans-Generational Deceit. In 1991, an attempt on my life was made in New Orleans while Hollywood asset Oliver Stone was filming local scenes for the film JFK for which Stone received an Academy Award nomination for Best Director. A poll taken in 1992 confirmed that this film, produced by Israeli agent Arnon Milchan, succeeded in persuading 71% of Americans to believe that their popular young president was murdered by their own government. A criminal prosecution by media-hungry New Orleans District Attorney Jim Garrison lent credence to Kennedy assassination conspiracy theorists. That high-profile jury trial quickly acquitted antique dealer Clay Shaw—with whom my Uncle Bobby routinely did business. Not until 2011 was Milchan outed as a Mossad agent when two PR agents, in the book Confidential, portrayed him as a heroic James Bond-like figure. While the U.S. worked to end apartheid in South Africa, Milchan provided nuclear triggers to Pretoria for the Jewish state. In the lead-up to the indictment of Clay Shaw, Lawrence Zeiger, a courier for (Jewish) organized crime, transported two packets of $5,000 each to Garrison to hire conspiracy theorists as his “researchers.” Zeiger was thereafter branded as Larry King. This oft-recurring displacement of facts with manipulated beliefs (e.g., Iraqi WMD) lies at the core of this ancient modus operandi. Their operations in California remain a key component of this ongoing duplicity. The murder of JFK enabled Lyndon Johnson’s escalation of an unwinnable war in Vietnam. That foreseeable tragedy fueled sentiments that led to the emergence of (a) nationalist Steve Bannon, a publishing protégé of Zionist extremist Andrew Breitbart, (b) Chabad adviser Jared Kushner, and (c) an Electoral College victory by an easily profiled asset whose arrogance ensured that he could be relied upon to act out his dysfunctions while, in effect, delegating U.S. foreign policy to his son-in-law. Three days prior to the election, Kushner, Trump’s daughter Ivanka and Trump Organization counsel Jason Greenblatt visited the grave of Chabad Rabbi Menachem Mendel Schneerson, considered a messiah by many of his followers. Greenblatt, also active in this ultra-Orthodox Hasidic sect, now serves as the nation’s chief international negotiator while Trump bankruptcy lawyer David Friedman, another Chabad Lubavitch devotee, serves as U.S. Ambassador to Israel. Not only was the Trump victory secured by social media-enabled psycho-graphic targeting (see enclosed “Donald Trump—The Last President for Greater Israel”), the campaign rhetoric spoken by this empty vessel was steadily adapted to reflect a targeted electorate’s profiled (and manipulated) fears and insecurities. Trump supporters Truly Believe that their government destroyed their jobs and jeopardized their future. Trump’s Electoral College victory traces to the weaponization of social media profiling. The campaign’s algorithm-driven, AI-enabled messaging displaced critical thinking by covertly manipulating and amplifying fear and insecurity on an individual and a mass level, using the persona of a former reality show host as a vehicle for advancing policies sought by those I profiled. The use of Big Data and the abuse of technological platforms (Facebook, Google)—helps explain why Trump came to office with no substantive policy initiatives, just a litany of market-tested complaints and no well thought-out solutions. As the public is distracted by the daily drama of a reactive and petulant president, those who produced his presidency are undoing protections from a globally destabilizing “Washington consensus” whose origins trace to those profiled. This transformation is led by Steve Miller, a 31-year old (Jewish) policy adviser, Ezra Cohen-Watnick, a 30-year old (Jewish) senior NSC adviser for intelligence programs, and Jared Kushner, a 36-year old member of a messianic Hasidic sect. Kushner confirmed that strategic adviser Steve Bannon shares the same pro-Israeli bias: “He’s an incredible Zionist and loves Israel.” Media portrayed Bannon as an anti-Semite and a white supremacist to obscure the role of those who did in fact interfere with our elections. As my life experience can prove, much of the systemic criminality and political corruption in California traces to the Chicago Outfit and their laundering of illicit funds into Hollywood and into California real estate, including their acquisition of properties that Japanese-Americans were forced to abandon after the attack on Pearl Harbor. When we meet, I can describe how research pivoting off my personal experience confirms the common source of the decades long corruption threatening our electoral system. My step-uncle was close to asset Ronald Reagan—whose S.A.G. presidency, governorship and presidency were produced by those I profiled while being stalked. This same syndicate produced the Trump presidency. I can share with you firsthand accounts from Glenn Olds who advised four presidents. Suffice it to say that the same parties who produced the Nixon presidency also produced the scandal that ended it, paving the way for an unelected Vice President from my home state of Michigan to become an unelected President. Mormon Warren Rustand sought to introduce me to Gerald Ford while a guest at his home in Tucson Country Club Estates. I declined. His neighbor was Jim Click whose father-in-law, Holmes Tuttle, chaired Reagan’s Kitchen Cabinet. When my father was found dead in 1979, Rustand repeatedly quizzed me to determine if I believed that the man named as my father on my birth certificate in 1952 was who I believed to be my true father. My father informed Glenn Olds about me in 1973 when, with the resignation of Spiro Agnew, Gerald Ford became an unelected Vice President. When, with the resignation of Richard Nixon, Ford became an unelected president, he authorized the Richard Pipes-run “Plan B” operation that hyped the Soviet threat. The success of the Pipes “psyop” served as a precedent for the Douglas Feith-run Office of Special Plans, an intelligence-fixing operation overseen by Deputy Defense Secretary Paul Wolfowitz during the presidency of Zionist Christian George W. Bush. The repertoire of those profiled is repetitive and limited featuring a modus operandi focused on undermining faith in our institutions of self-governance, including our intelligence agencies. Their production of the Trump presidency is so far over-the-top that the common source of this long-running criminality (and treason) can now be exposed and those responsible held accountable at law. If this is not quickly done, intelligence will again be fixed to induce us to wage another war against our interests. As my father pointed out in a 1964 speech at Harvard University during his first of four terms as Governor of New York, those who pose the greatest danger to democracy share a “tireless genius for crisis.” As Albert Einstein and 27 other prominent Jews pointed out in December 1948, those I later profiled while being stalked are “fascists” who seek a “Leader State.” Those who prey on the Jewish identity of the broader community were courageously described as “Jewish Nazis” in 1948 by Jewish novelist Hannah Arendt. These accounts provide a sampling of what can be proven by my life experience over more than six decades confirming the common source of a systemic duplicity that undermined our national security and put our economy in jeopardy. This nonlinear criminality continues to be enabled by those operating under the color of law in California. To counter the threat posed by those profiled requires that we meet within ten days of your receipt of these materials. Any doubts you may have can be resolved over a dinner discussion with Munther Ghazal, a respected leader within the Iraqi-American community of East San Diego County. Timing suggests serial stalking both in the FTB’s false portrayal of my counsel Ron Burd as a tax cheat and the March 2017 attempt to provoke me by using FTB personnel to allege taxes due 21 years ago. These incidents only further corroborate the arrogance and obsessive-compulsive nature of those who must believe they are in control and must act out that belief. As the facts of what can be proven by my life experience are engaged, those two traits will be exaggerated, making those complicit even more transparent and their identities apparent. I am committed to achieving that goal—with or without your cooperation. We have much to discuss. Ron Burd, Jeff Gates and I can come to your office. I suggest that we film our dinner discussion with Munther Ghazal as it will prove helpful to law enforcement in California in ensuring that your family legacy includes a proven commitment to free this state from the influence of this trans-generational criminal syndicate and restore the fact-based rule of law—by following the facts to their fullest conclusion. My life experience provides the “smoking gun.” To date, officials and media outlets in California have played a major role in ensuring that engagement with those facts and analyses has been criminally obstructed for more than 35 years. Meanwhile these serial predators continue to be portrayed as serial victims. I again contact you in good faith and provide ten days for you to respond in good faith. I’ve confirmed good faith engagement by parties in the Middle East concerned at the costs that this systemic corruption has imposed on societies there and worldwide, and the threat that those profiled pose to the U.S. as a fast-fading example of a working democracy—due to those who produced the Trump presidency. The parties support the London School of Economics, one of many academic venues where the current consensus is taught. With the support of these parties, the wherewithal will be available to counter that consensus with demonstration projects while simultaneously retaining the legal teams required to ensure that these matters are engaged at law. Commonsense risk management requires that this problem be solved. California earned its reputation for leading the nation in reforms that other states follow. With this systemic criminality now resident in the White House, it’s essential that state leaders show the path forward in order to restore the rule of law on which functioning democracies depend. Please contact me ASAP so that we can schedule our initial meeting. Thank you. Attached is a copy of my letter to the FTB requesting the source documentation on their collection notice. As I recall, I filed a tax return for 1996 but the taxes were not paid because all of my funds were seized by the IRS for federal taxes due on funds that were never paid to me—dating back to 1987. The details surrounding what happened and why are summarized in the enclosed draft timeline. After we receive those source documents, we will schedule a meeting to resolve any real taxes that were owed before other agencies sought to discredit and silence me. However, I will pay neither interest nor penalties due to the role played with legal impunity by those in California who were complicit in causing me to leave the state in the fall of 2004. You need to have senior investigators meet with myself, Ron Burd (my attorney who was harassed by the FTB to get to me) and Jeff Gates, the author of my work and business partner. Let me be clear: it is neither in your interest nor that of the state to create any additional problems with me at this point with the proof I have confirming 35 years of complicity in California. Donald Trump is a political product of the same corruption responsible for what was done to me. Their stalking of me became focused after my father was found dead January 26, 1979. [See the enclosed introduction to The Hidden Tax on Humanity.] Our focus is on a real solution that we will be happy to discuss with you when we meet. I suggest that you order a freeze on any action related to the FTB notice to ensure that complicit third parties cannot use this ploy—as was done in the past—to harass and further damage me hoping to silence me and contain this evidentiary trail. No one can get near me unless the perpetrators pull a stunt such as using a 21-year-old tax issue to make it appear that serial stalking is simply a tax collection issue, ignoring the real facts. On March 20 I telephoned the FTB to provide notice that a detailed response was being prepared. I spoke with “Deborah” and informed her that I was recording our call. She replied that she would not speak with me if I was recording the conversation but said that she would listen. I summarized for her what I now provide in this letter to you. When I told her that I was preparing a file for you and copying the head of the FTB, she hung up. I then telephoned the Attorney General’s office in Arizona to engage one of their investigators. Let me restate the significance of this call and its timing. In short, had I been functionally engaged after my return from Iraq in February 1997 and had I not been serially stalked by those responsible for ensuring that no one interviewed me, the pre-staging for 9/11 could have been uncovered, we would not have invaded Iraq and we would not now have the asset Donald Trump serving as “our” President and Commander-in-Chief. I hope that you take the duties of your office more seriously than did Governor Schwarzenegger when I sought his help following 9/11. The dereliction of duty spans several California governorships–of both parties—as my experience proves. The most recent action by the FTB provided me what I needed to file in U.S. District Court and move backwards holding those responsible for damages spanning more than three decades. I anticipate that the lawsuit will be filed as a class action for damages inflicted on all Americans under the color of law with California a key (and continuing) venue where this duplicity is enabled.